We are already in the month of February and the gadget world has grown exponentially already in these 2 months, but the focus remains mainly on smartphones and tablets. Yes, wearables have seen themselves grow to great extents from the time of their inception but have never really been the focus point for many people around the world. Smartwatches and fitness bands have probably been the biggest sellers but people refused or rather didn’t think it was worth the challenge to support any other type of wearable. 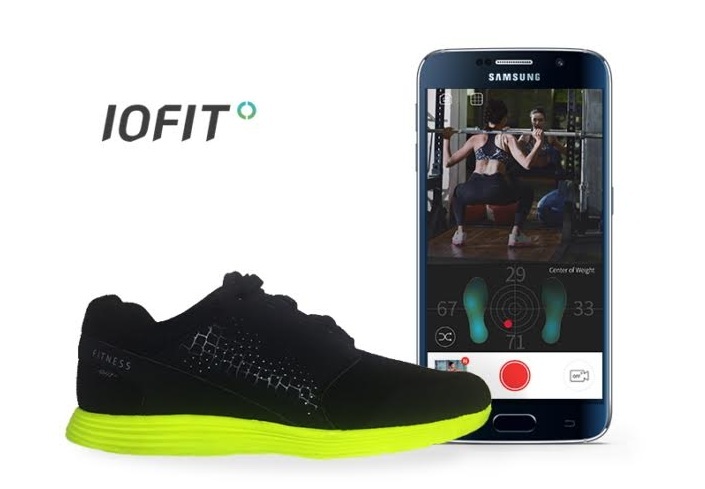 But that all could change this month at the Mobile World Congress 2016 as a startup called Salted Venture is getting ready to race ahead in the wearable market with their product; the IOFIT smart shoe. What most people will not know is that Salted Venture is actually supported by Samsung Electronics and is an upcoming and very promising startup that is targeting the people who want to train better in whatever sport they choose. And in order to do so, they have come up with one of the latest electronic gadgets; the IOFIT smart shoe. It uses pressure sensors to maintain our posture and balance and relates it back to the user through the coaching application on a smartphone. According to the CEO of Salted Venture, Jacob Cho, valuable information is being wasted that comes from our feet and so IOFIT was designed to utilize all that information and data. Coming out of Samsung’s Innovation Programs; C-Lab, the idea of the smart show was born and then soon after, the Salted Venture team was created to create newer and unique opportunities for business. 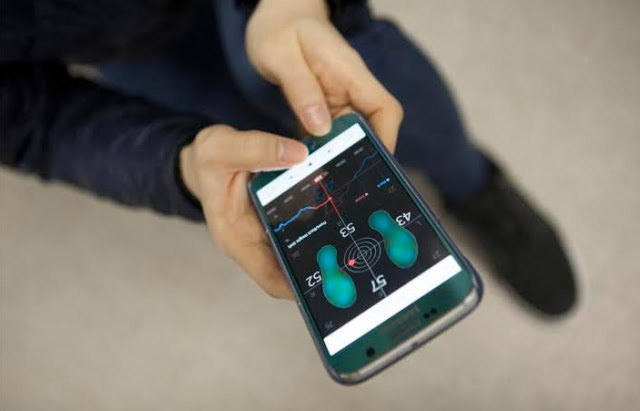 The team soon realized that the data and information from our feet could be used in applications ranging from videos games to healthcare and then started their research and development process. They visited and consulted with various fitness and professional golf centers to learn how to use the force plates that help in posture rehabilitation. In order to get the best out of their IOFIT idea, the team incorporated technology like accelerometers and other pressure sensors into the shoes soles which can measure weight shift, balance, ground contact force and center of gravity readings. All this data is essential in an injury-free and superior golfing experience and is displayed in real-time on a detailed pressure map that is seen on the IOFIT application that will be available on most high-end mobile phones. As we know, the smartwatches and fitness trackers available on the market now do a pretty good job at helping people stay fit but there is one thing missing and that is a true person-to-person feeling to working out. That is where IOFIT comes in. Instead of providing data and information on how to effectively work out, the smart show (through the application) gives users a true coaching experience with human-to-human connections. This is all possible through the video playback feature that allows people to check their real-time workout data on the smartphone screen. They can use this information to improve their stance, posture and even golf swing. One of the biggest feature here is the customizable coaching and analysis software that lets coaches add their comments through drawings or even voice straight on the video itself. Users can even compare 2 videos side by side to see how their progress is going along and compare data. Footwear is something we all love to show off, so when the team at Salted Venture conceptualized the IOFIT smart shoe, they put a lot of consideration into the look of the shoe as well. But having just one design would never be enough for the company to grow at the rate they want it to, so, the startup is already looking to global superstars in the footwear market and have also made some very decisive partnerships with the biggest brands in the world. They are also aiming to target a bigger audience through the stage at MWC 2016 on February 26th in Barcelona. So, will you be watching the event in person or online? Do you find yourself interested by the idea of a smart show to help you track your posture, position, and golf swing? Stay tuned for the biggest releases of the Mobile World Congress, 2016.